Woodland Forge is able to offer individualized programs for children, adolescents and adults with anorexia nervosa, bulimia, overeating, or fears of eating/swallowing/vomiting. We begin with a thorough assessment of the patient's needs which leads to the setting of treatment goals. These programs can serve as a time-limited addition to the interventions provided by the patient's current treatment team. Where appropriate, they can also provide an effective alternative to traditional eating disorder hospitalization. If you are looking to help your loved one who is showing initial signs of anorexia, or has been struggling for some time, we offer intensive family based programs. Woodland Forge offers Assessments to answer the question: "Should I be worried about my child?" Many parents don't want to overreact to what they see in their child but they also know that if something is going on, the sooner treatment occurs the better the chance of recovery. We can let you know if we think your child needs help and what options are available. 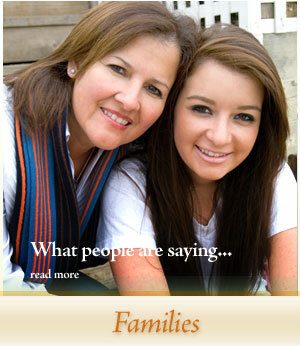 Woodland Forge offers Educational Workshops for parents to help provide the best support you can for your loved one. Woodland Forge offers traditional Ongoing Psychotherapy for eating disorders in adults as well as for other issues including depression, anxiety, grief, substance abuse, and family or marital conflict. If you are looking for an outpatient eating disorder treatment program specializing in anorexia, bulimia, and overeating, Woodland Forge may be the answer. At Woodland Forge, we believe that eating disorders need to be treated in a safe and nurturing environment with techniques that work. We are best known for our Family Based Treatment (FBT), which is now referred to as "the gold standard of care" for child and adolescent eating disordered patients. We are one of the few outpatient centers to offer such treatment to patients as young as 10. 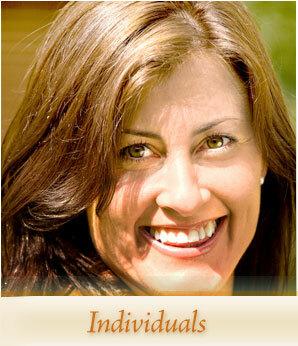 Our eating disorder treatment programs are individually designed and tailored to help each patient. Because we are committed to keeping our programs small, you will never feel like "just a number." From your first contact with us, you will feel understood and will be given feedback as to what we recommend the next step in the treatment process should be. Trying to get the right help for you or your child can be overwhelming, we will help you make some sense of what options are available. And if we do not feel we are the right match, we will let you know about other resources that exist. Having an eating disorder or having a loved one with an eating disorder is hard enough, finding the right treatment should not make life harder. Recovery from Eating Disorders is Possible.